Monday: Missy Tippens and Connie Mann shared about Writing What you Know...and What You Don't Know. The winners of Missy's Cowboys of Summer are Lee-Ann (Martin) Brodeur and Chanel M! The winners of Connie's Deadly Melody are MJSH and JubileeWriter! Tuesday: Julie Lessman talked kissing!!! The winner of a paperback copy of her writer’s workbook, Romance-ology 101: Writing Romantic Tension for the Sweet and Inspirational Markets OR your choice of any of Julie's indie e-books, including her upcoming release, Love’s Silver Lining is Wilani Wahl. Wednesday: Publishers Weekly Bestselling Author Debby Giusti talked about "My Writing Process," which led to a lot of interesting discussion about how an initial concept turns into a full-length manuscript. Debby is giving away the first two books in her Amish Protectors series, AMISH REFUGE and UNDERCOVER AMISH, along with a 2018 calendar/planner to one lucky winner. The winner of Debby's giveaway is Rose Blackard. Congrats, Rose! Friday: Winnie Griggs discussed Layering Texture and Emotion into your writing, and provided excerpt examples to illustrate her point. The winner of Winnie's current release, or choice of any of her backlist, is Bettie Boswell. Monday: Jan Drexler will share how she mines her family tree for story and character ideas. If you think your family stories are boring, think again! You have prime story fodder right under your nose! Tuesday: Today we welcome the president of the Virginia chapter of ACFW, author Toni Shiloh with a post about diversity... and why it's important to the readers and the writers. Toni's giving away an e-copy of "Returning Home" to one lucky commenter. Stop by and meet Toni... There'll be fresh coffee waiting! Wednesday: In her continuing series on Conflict and Tension, Melanie Dickerson builds on the other posts to talk about HOW exactly to create Conflict in your story. Friday: Pam Hillman is your host on next Friday with Seamless Transitions: How to go from scene to scene without jarring the reader. Mary Connealy, Cheryl St. John , Tina Radcliffe, Missy Tippens, Lorna Seilstad, and Sherri Shackelford joined forces for this sweet contemporary romance collection, Cowboys of Summer! On tour next week with reviews and interviews with every author! Short Blurb: As the summer weather sizzles, relax by the pool with stirring tales of handsome cowboys and the spirited ladies who wrangle them into romance. Six of Christian fiction's most beloved authors join forces to bring you a collection of humorous, romantic and heartfelt novellas set against the sultry heat of summer. Then, be sure to check out the Bookstagram Tour for The Accidental Guardian by Mary Connealy starting next week on @JustReadTours on Instagram! 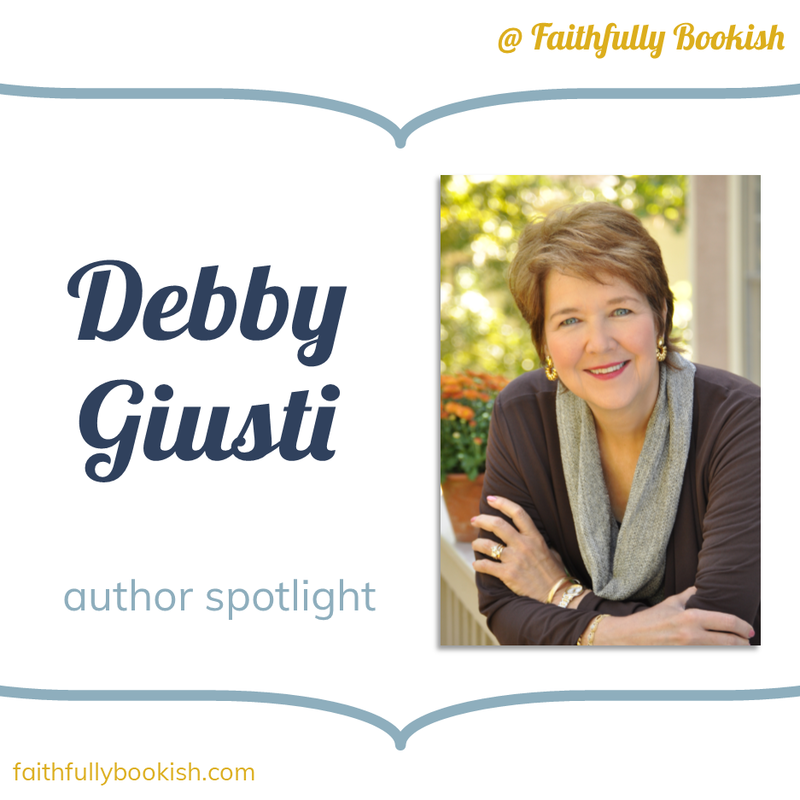 Stop by Faithfully Bookish for an interview with Publishers Weekly Bestselling Author Debby Giusti. She's talking about her favorite covers and giving away two books and a 2018 calendar/planner. Leave a comment to be entered in the drawing. 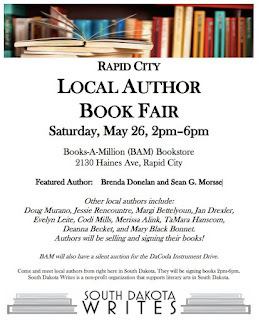 Are you planning to be in the Black Hills area on Memorial Day weekend? 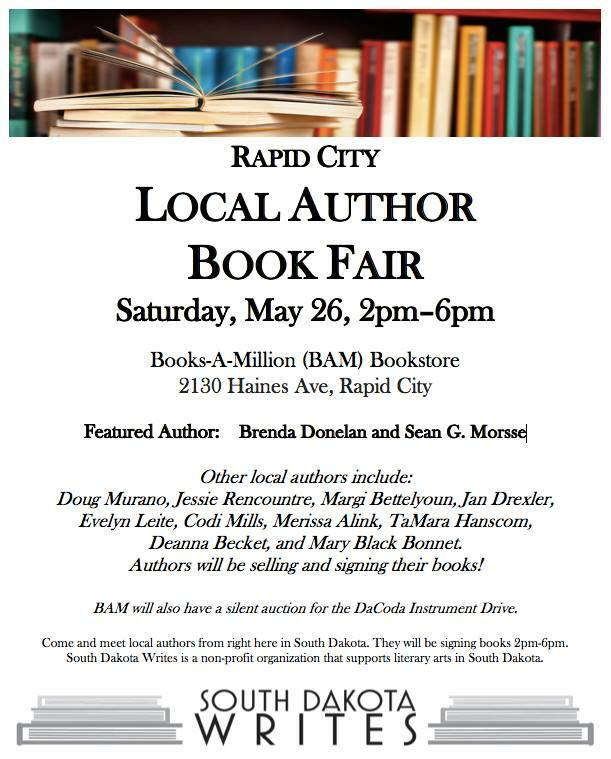 Stop by the Rapid City Books-A-Million store on Saturday, May 26, to meet Jan Drexler, along with other local authors! Shout out to Seeker Mary Connealy, whose The Accidental Guardian made the 4/2018 CBA Bestseller's List! This was a good week, a lot of meaty craft posts which I am applying to my WIP, which is going in jerks and halts. Looking forward to this week, especially to Pam on Friday. I'm not an especially linear writer, though I do have outlines and plans, and when I write in chunks it can sometimes seem awkward and unconnected. CRAFT. You know you've arrived, or at least in the parking lot, when something nags at you and you can't or won't rest until it's absolutely right. And when you know what "right" looks like. BTW, does anyone want to explain GDPR to me? Or should I wait for the movie? I know next to nothing about GDPR, Kathy! But my website host, Weebly, is in the process of walking its customers through the process. I'm just glad there are lawyer types out there who can give us advice! Jan, my site is on Weebly too and I'm sure they'll walk me through it. Sheesh. What next. It never ends, does it??? So how many got up early to watch the Royal Wedding? Coverage started at 4:30 am here, so I'll be watching the highlights later on. Even Prince Harry isn't going to get me up that early! Congrats to all the winners! And Kathy is right, this has been an awesome Seekerville week! I am out of town this weekend, but I recorded the wedding. I plan to watch it tomorrow night when I get home. I did. Now I need to take a nap. Congratulations to all of the winners. Hope that everyone reading this will have a great weekend! Happy weekend, Seekerville! How many of you were up to early to watch the royal wedding? Or how many of you were like me and recorded it? I have watched it and it was beautiful. I think Diana would have been proud. Sigh. Nothing like a royal wedding to get a romance writer's juices flowing. It was a beautiful wedding. I got up at 5 when the alarm went off. I turned on the TV and saw that the start of the wedding wouldn't be for a couple hours. I left the TV on and went back to bed for a couple hours waking up just in time to see the family arriving. My friend called right after and we headed yard sale shopping. I was able to get a whole series by Linda Chaiken for 75 cents and the books look brand new! Hope everyone is having a great weekend. I'm looking forward to next weeks posts. The ones this week were great. I had an email from Nano this week. They now have a goal tracker. I've been wanting something like that but had no idea of how to set one up. This seems to help motivate me to push through even when it is difficult. I watched the Royal Wedding, then spent the rest of the time with family, watching our grandson's baseball tournament! He's on a traveling team so games Sat and Sun! They spent the weekend with us and I loved every minute. Be still my mother/grandmother's heart! Congrats, Mary, for making the CBA bestsellers list!!! Fantastic! Special thanks to the delightful Beth Erin for inviting me to be a guest on her amazing site, Faithfully Bookish! Stop by and say hello when you have a chance! I just realized I never commented yesterday! I read the post and then got distracted. LOL Hope you all had a great weekend!